› Football › How High Would Super Bowl Prices In Minneapolis Go If The Vikings Make It? After their epic win last week, it's a fair question to ask whether the Vikings can pull off another win and get to their first Super Bowl ever. While that alone would be enough to send demand for Super Bowl Tickets through the roof, the fact that it could be played at their home stadium would likely send prices above $10,000 making it the most expensive sporting event in history. To come up with an answer of just how high prices could go, we used the recent College Football Playoff Championship game as a barometer for what could happen. After UGA clinched a spot in the Championship game in their hometown of Atlanta, prices spiked 30%, as the below Twitter post on TicketIQ shows. 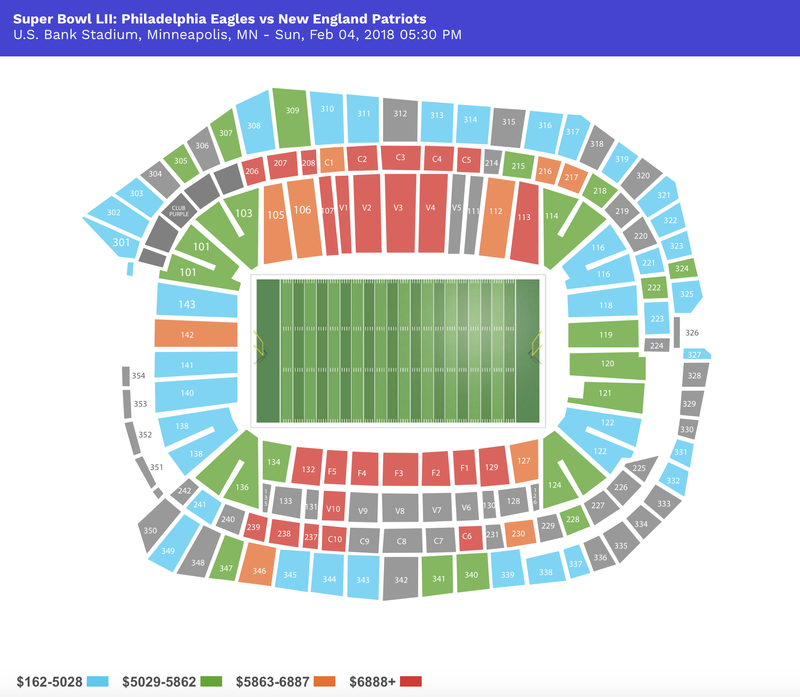 While the cheapest ticket prices did come down from their peak of $2,600, this isn't likely to happen for the Super Bowl, as there is currently about half of the quantity available on the secondary market for 'the big game' compared to the the week before for the college football championship. 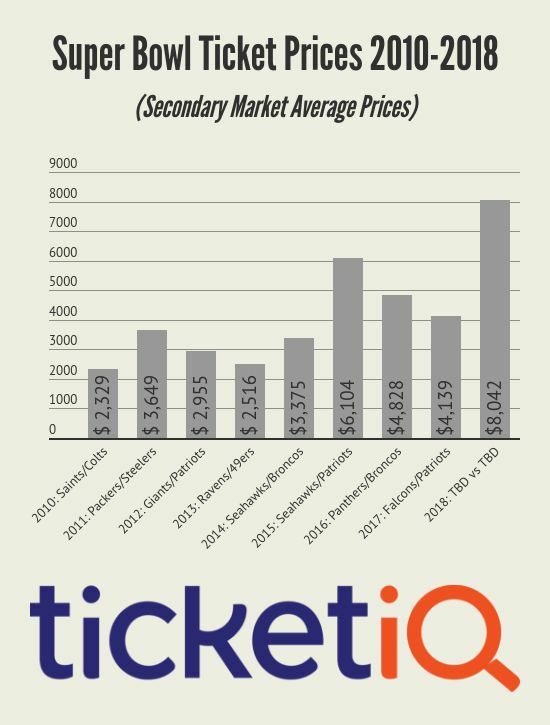 Additionally, the NFL, through their spin-out, NFL On Location, has already sold many more tickets as part of packages than in previous years, which is also likely to keep secondary market quantity at historical lows. With a current average price hovering around $8,000 and a get-in price of $4,000, a 30% increase in the average price would means an average price of $10,400 with a get-in price of over $5,200. Both of those measures would be the highest for any Super Bowl tickets we've tracked. It would also be the most expensive game we've ever tracked, across any sport. If quantity remains low on the secondary market, prices could climb above $12,000 with get-in prices above $6,000. Here's a link to real-time data on the game for anyone looking to actually buy tickets. Below is a graph with data on average prices this decade.